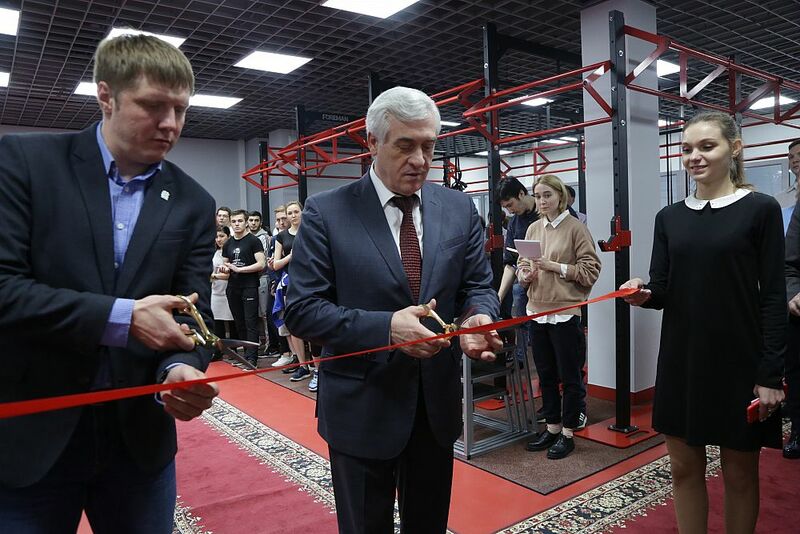 At the USUE sports and health complex, the solemn opening of the Eurasia fitness club was held. The club offers a wide range of health and fitness services: from СrossFit, pilates, yoga, boxing, and wrestling to training at the largest in the region climbing wall and the opportunity to practice almost all team sports: badminton, basketball, volleyball, football, and two kinds of tennis. "I hope that we have done a useful work for students and for the staff to let everybody study and work well and also be in excellent physical shape. Do go in for sports and take care of your health,” Yakov Silin, USUE rector, noted. Starting from today, anyone wishing to do sports may enter into the contract and can train here," Maxim Kocherian, the head of the USUE Office for Mass-Participation Sports and Health Promotion, said. The club area is more than 2000 m². It includes five sports gyms: a universal gym, a martial arts gym, two fitness facilities, a gym for group programs equipped with modern sports equipment, and a climbing wall 12 m high. Professional coaches will help to ensure the work of the fitness club at a high level. 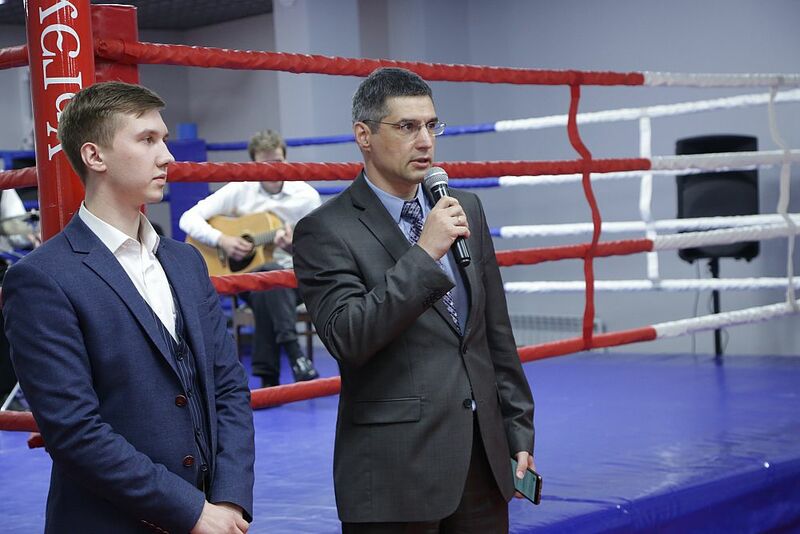 Mikhail Tushkov, an instructor of Eurasia club, conducted an introductory briefing for the first guests. He noted that it was important for beginners to work on the correct technique of doing exercises. "A body posture, right position of the back, body, and limbs during movements - all these in the long term will protect against injuries and problems with the musculoskeletal system," the fitness coach shared his professional opinion. The first guests noted that the location of the new fitness club invites for doing sports. "I plan to come here with friends. Now I visit another club, but there are more space here and new machines, so I want to do it here," Dmitry Kolmogorov, a first-year student of the Institute of Economics. 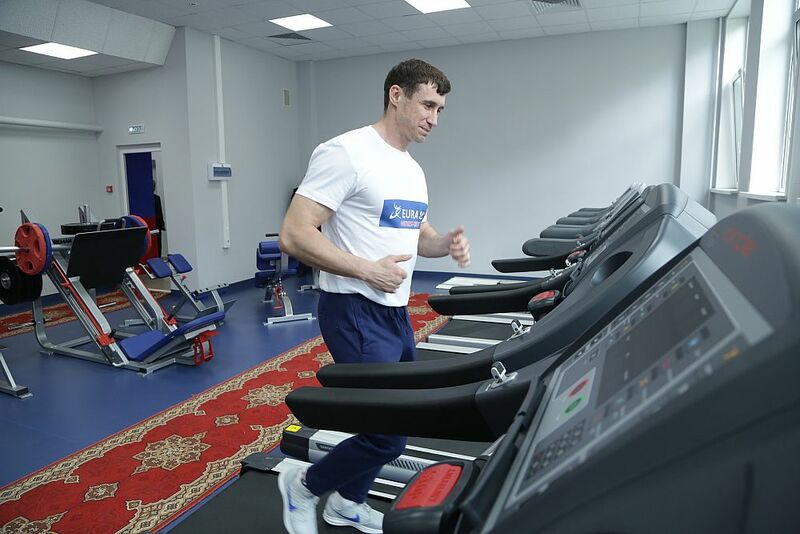 Peter Novozhilov visits fitness facilities regularly. "It's inconvenient to take sports classes far from home or work. We, the USUE staff, now have an excellent opportunity to do sport after a day's work without leaving the university walls," the deputy director of the USUE Institute of Continuing Education said. 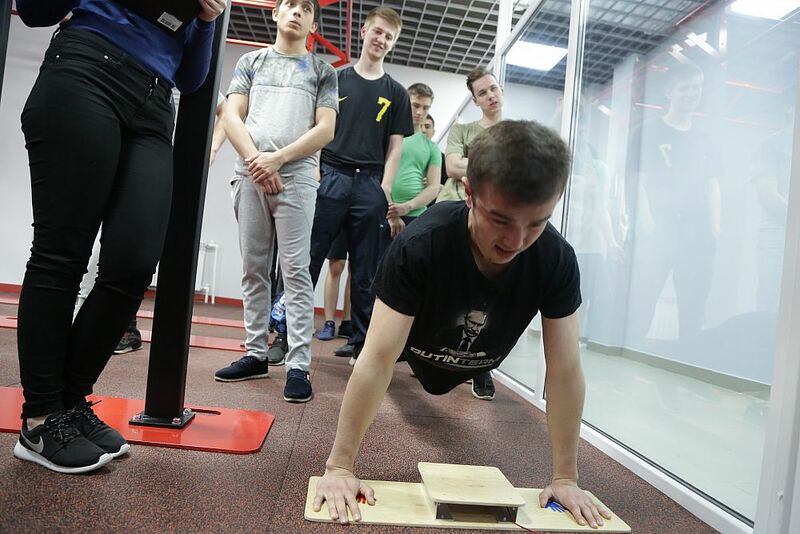 After the official opening, the students of Ural State University of Economics have passed the GTO ("Ready for Labor and Defense") tests in pull-ups, shuttle running, and shooting. The fitness club provides a system of season gym membership at affordable prices. Employees and students can choose a subscription for a year, six months, three months, one month, or a single-use pass. The gym will work from 7.00 to 22.30 on weekdays and from 9.00 to 21.30 on weekends.